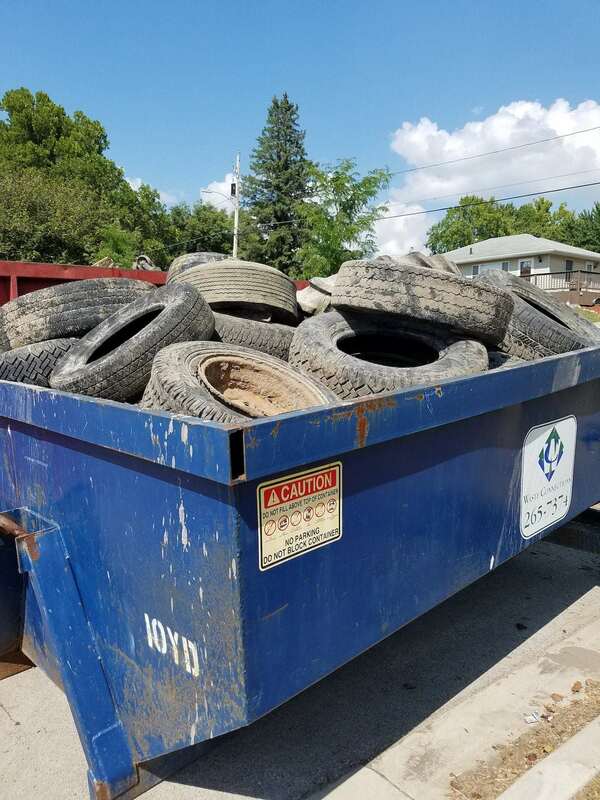 Throughout history, creeks and streams in Iowa have been a hotspot for dumping trash and tires. This trend has been seen along Fourmile Creek, especially in the urban areas. Recent flooding events have also caused more than usual trash to enter the creek from upstream communities and surrounding properties. 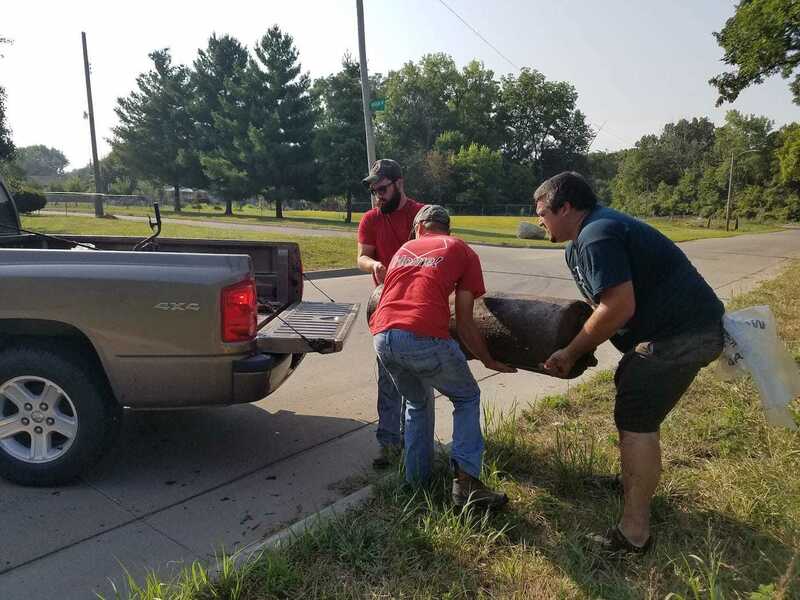 In August 2018, a clean-up event was planned for the lower Fourmile Creek greenway in partnership with the City of Des Moines, the City of Pleasant Hill, and Polk Soil and Water Conservation District. 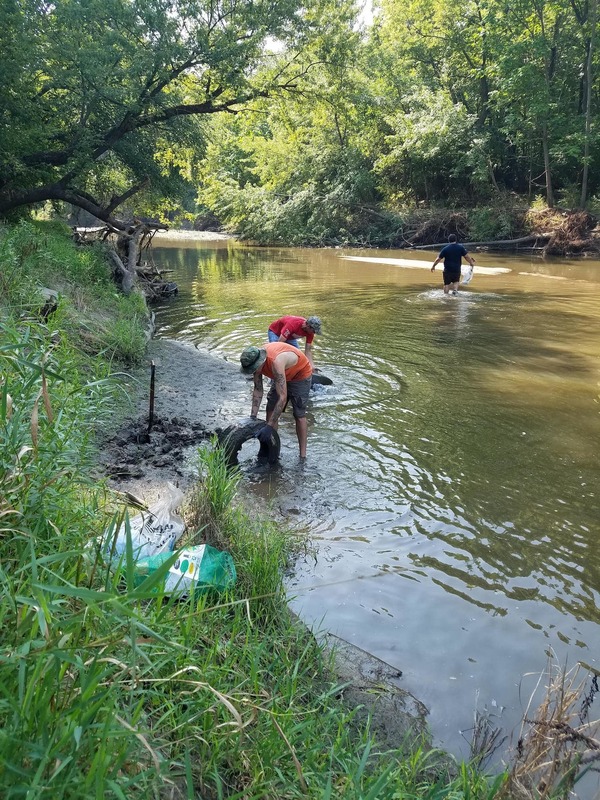 Over 40 volunteers joined us for the full day of work, pulling more than 2 tons of trash from the creek and surrounding areas. 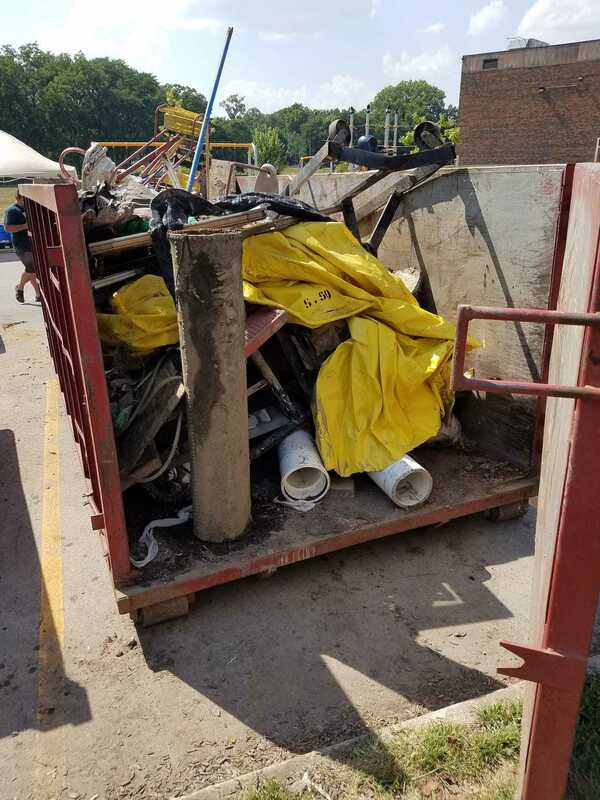 Tires, picnic tables, and even a water heater were pulled from the streambed! There are many ways you can do your part to help clean up Fourmile Creek, too! Spend a nice summer day walking along the trails of Fourmile picking up trash with friends or family. It is a great way to get some exercise and help the environment at the same time. Don’t forget to bring garbage sacks and gloves! Adopt a portion of Fourmile Creek to clean up once a year. Head over to: http://www.goadoptastream.com/ to learn more! Recycle eligible items instead of throwing them into your trash. Visit: https://www.mwatoday.com/residents/recycling/default.aspx for a list of items that can be recycled. ---> Don’t litter and if you see someone littering, say something! ---> Keep your yard picked up and free of trash and debris. If you are interested in learning about future clean up events or other ways you can help Fourmile Creek, contact us today!